This entry was posted in Tollywood and tagged Akkineni Nageshwara Rao, Ali, Amitabh Bachchan, Brahmi!, M.S. 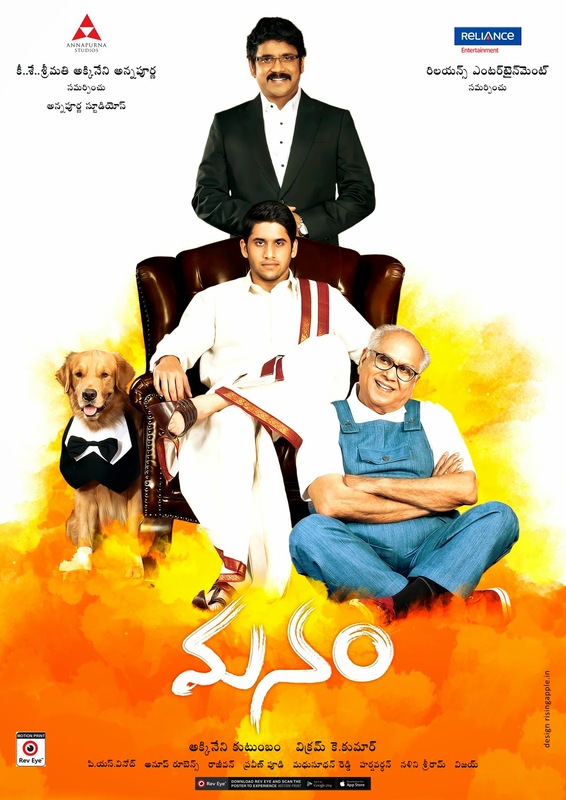 Narayana, Manam, Naga Chaitanya, Nagarjuna, Samantha, Shriya Saran, Telugu, Vikram Kumar. Bookmark the permalink. Glad to see you enjoyed it, I’ve really want to see this but it would be a bit of a drive. Would just be nice to see all three generations together. That was definitely a highlight, but I was also very impressed by Nagarjuna in this too. I don’t think I’ve seen him in many films and certainly none where he was as expressive. ANR was amazing, especially when you consider he was ill for the dubbing, and he added so much impish personality to his character. Great to see them all together! Saw last week in the theater. Very sweet film if too long. ANR and the Nagarjuna/Shriya Saran flashback story were the best bits. Very cute. Good to know you mnanaged to see it in the cinema and liked it too! I agree about the Nagarjuna/Shriya Saran flashback – such a surprise to me as I normally don’t like her at all – this film has changed my opinion!